Participating businesses, residents and iconic landmarks and attractions turn their lights out for an hour to show they care about our planet’s future. Advancing Innovation in Conservation: A fascinating talk by Ted Schmitt revealing the increasing role that new technology is playing in wildlife conservation. 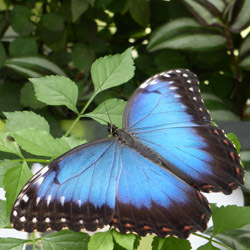 Visit hundreds of butterflies at the Butterfly House at the Horniman Museum.